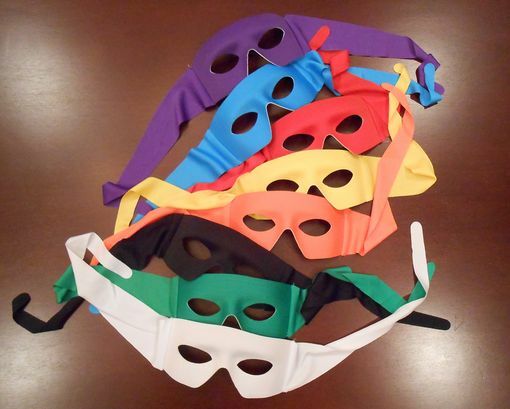 Have a super hero party with this eight piece mask set. These masks have a great shape and are very comfortable. Mask set comes with eight different colors.